No matter what your reason is to hold a masquerade theme party, for junior prom or friend meeting, it is one of the most interesting and anticipated. 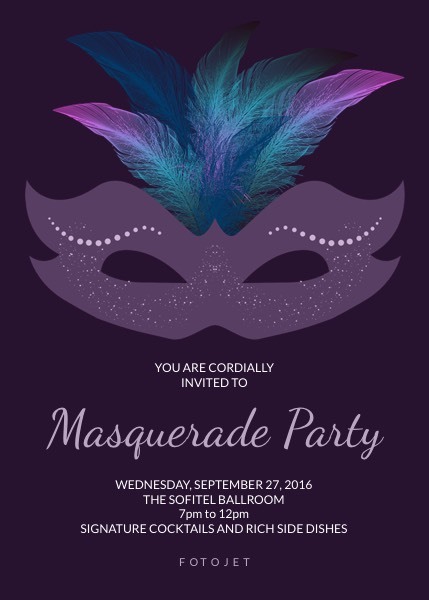 Design stylish masquerade invitations to make invitees look forward to the masquerade ball even more with this template attached with masquerade mask image. Feel free to use this highly customizable design for your own event.